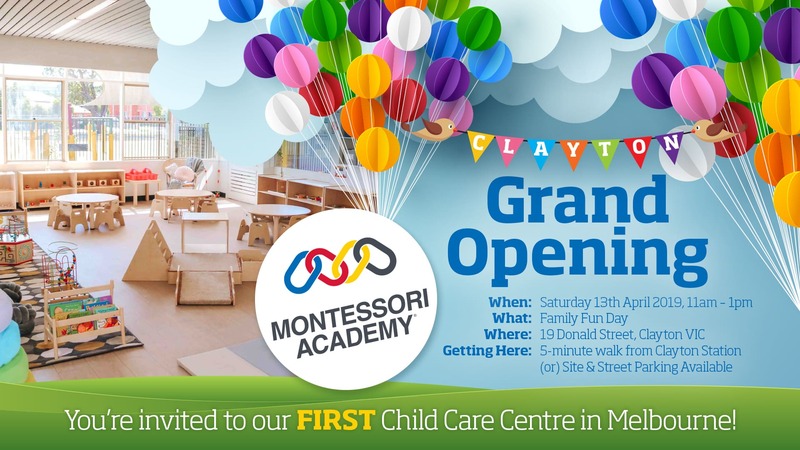 Welcome to Gymea Montessori Academy. Our Gymea early learning campus delivers Australia’s most comprehensive and fun early education program for children aged six weeks to six years. We are conveniently located at 111 Gymea Bay Road, right next to St Catherine Laboure Church, and St Catherine Laboure Catholic Primary School. Our Gymea child care campus is proud to deliver an innovative Montessori education program that applies the principles and practices of Montessori in a modern educational setting. Our core focus is on teaching our students the foundational knowledge and skills that will empower them to succeed at school and in later life. Gymea’s core curriculum covers practical life skills, sensorial education, mathematics, literacy, culture, geography, science, art, and preparation for school. Most unique about Gymea Montessori, is our scientifically based approach to learning that is focused on the complete development of the child. We believe that every child is a natural born scientist, and that the world is their laboratory. Through hands-on learning experiences, we inspire our students to activate their own “inner teacher” so that they actively participate and embrace education as a foundation for life. Our Gymea child care centre offers a melded Montessori education program that covers two syllabuses, the Montessori Curriculum, and the Australian Government’s Early Years Learning Framework. Our modern Montessori education program covers: Practical Life, Sensorial, Mathematics, Language, Culture, Geography, Science and Art. As children progress through the Montessori Curriculum, they encounter more challenging learning materials that are appropriate to both age and skill levels. In this way, Montessori education is child-focused, as opposed to teaching at a class level. To learn more about the principles that guide the Montessori education program, click here. 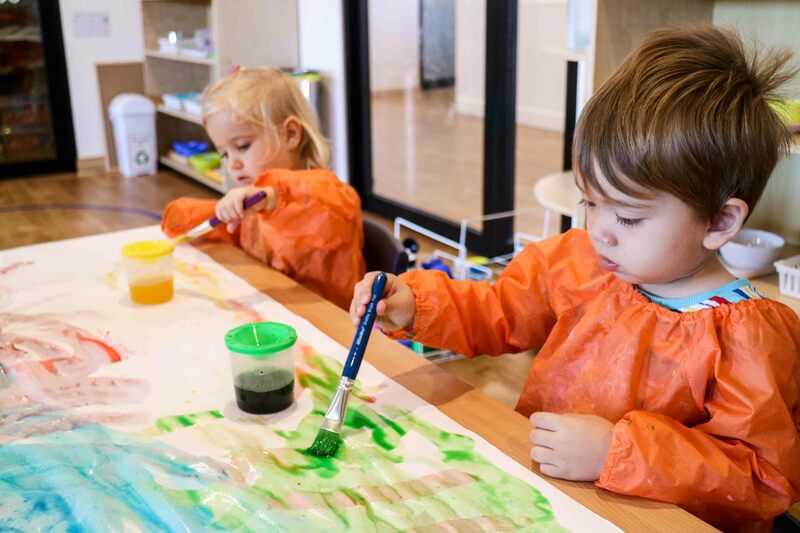 Our Gymea child care campus has three spacious Montessori classrooms that are specifically designed to meet the developmental needs and interests of the children in each age group. Each classroom is fitted out with child-sized furniture, a full suite of Montessori learning materials, and a range of play-based resources to encourage hands-on learning experiences. Another unique feature of our Gymea classrooms is that they are prepared environments. Our Gymea campus classrooms are specifically designed to encourage interest and activity. 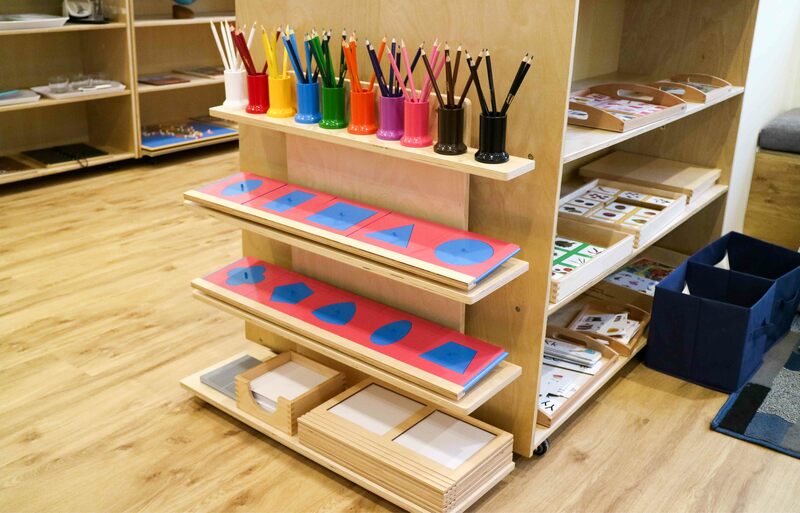 The Montessori materials are displayed on low open shelves, the classrooms are beautiful, and there is a distinct sense of order. This logical structure encourages children to organise their thinking, progress from easiest to hardest, and absorb learning outcomes at their own pace. In effect, creating the optimal learning environment for children. Each classroom at Gymea Montessori Academy contains a full suite of authentic Montessori learning materials sourced from Neinhaus and Bruins, the leading providers of Montessori materials internationally. Montessori materials are sensory-based learning tools that are designed to isolate one skill or concept. The materials encourage hands-on learning, independent problem solving, and analytical thinking. Most unique about these hands-on learning tools is that each material is designed with a visual control of error. This allows children to work with the materials and discover the learning outcome through repetition and practice. Working with the Montessori materials teach children how to develop the skills of ‘Executive Function,’ such as critical thinking, collaboration, communication, creativity, independence, and intrinsic motivation. Our Gymea child care centre offers two vibrant outdoor play areas that are bright, expansive, and well resourced. There are separate outdoor play areas for Infants aged 0 – 2 years, and Toddlers and Preschoolers aged 2 – 6 years. This separation allows children to explore and develop at their own pace within the safety of a learning environment that is specifically tailored to their stage of development. The campus’ shaded outdoor play area is equipped with children’s gardens, mud kitchen, tricycle track, gross motor activities, dramatic play area, and sandpits. The outdoor area is set up daily with a range of activities to meet the children’s needs and interests. The students also enjoy a range of extracurricular activities, that may include: football and soccer skills, yoga classes, dance classes, and munch and move. Extracurricular activities are based on the interests of families in the service. Our Gymea core team have been working together since the centre opened nearly two years ago. They are committed to the Montessori philosophy of education, and delivering an exceptional early learning experience, that is based on the developmental needs and interests of each individual child in their care. Our educators seek to implement diverse learning experiences that reflect the Montessori Curriculum and the Early Years Learning Framework. Staff qualifications include: Montessori Teachers, Montessori Trainers, Early Childhood Teachers, Diploma Trained Educators, and Certificate III Trained Educators. 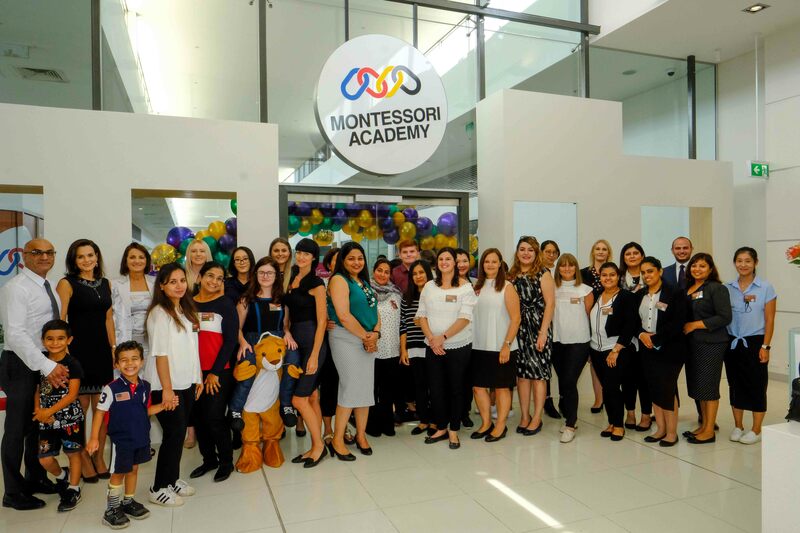 To ensure staff are continually learning, and refining their skills, Montessori Academy offers on-site Montessori training, as well as external training courses in Montessori Education and Children’s Services.